Members of the Saint Paul training team attend the national PTHV conference. PTHV trainers working with educators in Solvay, New York. 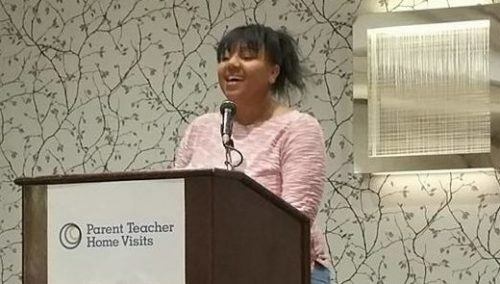 Kirinda Anderson, a parent of a student at Wellstone Elementary, speaks at the national Parent Teacher Home Visit Conference. Parents and educators together train SPFT members on how to conduct home visits. Families and educators often want the same thing for students – to learn and thrive in school. Parent Teacher Home Visits (PTHV) seeks to build the partnerships between parents and educators that are essential to providing quality education to all students, regardless of their race, ethnicity, sexual orientation, gender identity, immigration status, or ability. PTHV is a completely voluntary program for educators in Saint Paul. 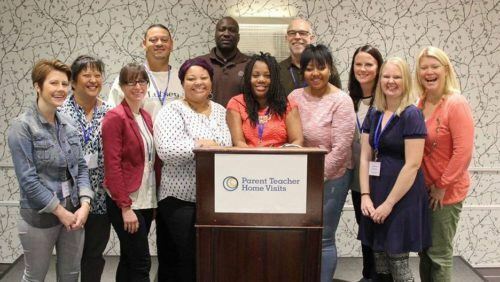 Before their first home visit, educators who elect to participate in PTHV are trained by both educators and parents about how to respectfully and authentically engage with families. 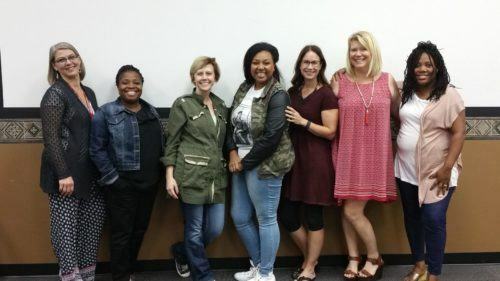 A key aspect of this training is ensuring that families and educators are meeting each other as equal partners in their student’s education. All educators participating in PTHV must complete home visits to at least three families throughout the first school year, and document and track visits. 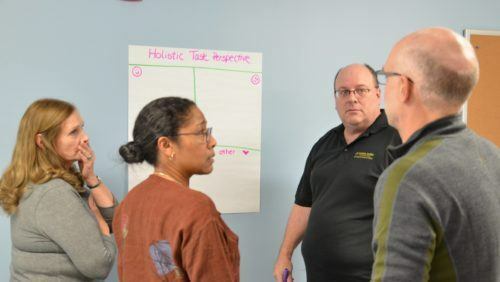 Participants attend a debrief session, allowing the program coordinator to assess the needs of both the home visitors and the families they are visiting. 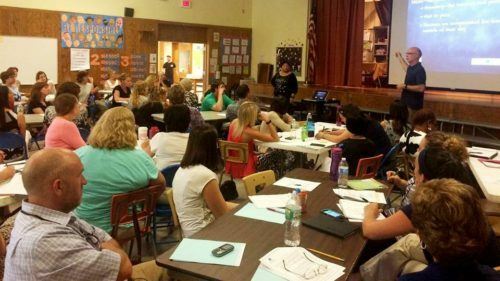 The Saint Paul Federation of Teachers hosts the regional training hub for the National Parent Teacher Home Visits. Since 2010, our project has grown from six trained teachers visiting 15 families to a total of more than 500 trained teachers and over 1,000 families. This Trainings will be held this summer (2019) on the following dates: June 13, July 17, August 9 and September 28. Sign up today on PDexpress! If you have any questions, contact SPFT's Professional Development Team at tlc@spft.org.